The white knights that came to the rescue of banks during the financial crisis are going home, with their pockets full of bounty from their good deeds. In the latest announcement, Kuwait’s SWF said on Sunday that it had booked a $1.1 billion (Rs5,104 crore today) profit on the stake it took in Citigroup Inc. in January 2008. That equals a 37% annualized return on its initial $3 billion investment, which was converted into common stock from preferred shares. Other SWFs—including those backed by the governments of Singapore, Qatar and Abu Dhabi—have also recently cashed out stakes in foreign banks for comparably large gains. The hefty returns highlight how some savvy government funds have been able to profit from the financial crisis, even as most ordinary investors have been pummelled by billions of dollars of losses. It also calls into question whether such funds will act as long-term investors, as many initially suggested, or merely short-term profiteers. Many SWFs invested in the early days of the crisis as banks scrambled to find investors willing to plough in money and exacted lucrative terms. (Swings through Asia and West Asia were so common that bankers coined the phrase “Shanghai, Mumbai, Dubai, Goodbye" to describe their fund-raising tours.) But as financial stocks continued to plummet last year, the so-called smart money supplied by foreign governments no longer looked so sure. Now, as bank shares have rebounded faster than most analysts had projected and governments face internal political pressure at home, the funds are racing to lock in gains. The Government of Singapore Investment Corp. Pte Ltd (GIC), an investment arm of Singapore’s government, had said in September that it turned a $1.6 billion profit by selling about half of its stake in Citigroup. In June, the International Petroleum Investment Co., which is wholly owned by the Abu Dhabi government, had said it would sell a big part of its investment in British bank Barclays Plc, making a profit of roughly £2 billion (Rs15,340 crore today) on a £2 billion investment. In October, the Qatar SWF had said it was selling a part of its stake in Barclays, also at a healthy profit. The great unravelling by foreign governments may put additional pressure on the US government to begin exiting its bank investments, too. Bank of America Corp. had said last week that it expected permission from regulators to soon repay the $45 billion in taxpayer money it received. 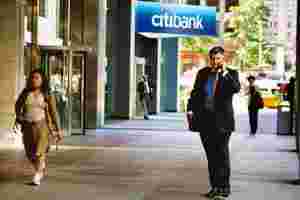 Citigroup, in which the government holds $20 billion of preferred shares and nearly a 34% ownership stake, has made paying back the government a priority, but has not reached a deal with the US treasury department for repayment. Of course, not every bank investment has been a winner. The China Investment Corp. lost $2 billion from an ill-fated stock investment in Bear Stearns Companies Inc., and its $3 billion investment before the initial public offering of the Blackstone Group Lp quickly turned south. Temasek Holdings Pte Ltd, another SWF backed by the Singapore government replaced its leadership team and overhauled its investment strategy after big bets on Barclays and Merrill Lynch and Co. Inc. did not do well. Mohamed El-Erian, chief of Pimco, said the big SWFs have rebounded strongly this year as the markets and banks, and hence their portfolios, have recovered. He said the funds’ large size meant they did not have to sell when the value of their stakes was falling and are now taking advantage of better markets to sell their investments. “They didn’t panic into selling at the bottom of the market," he said. “And now they can sell." “Being long-term investors with stable capital, they are much less subject to the risk of forced sales," El-Erian said by email message. “Accordingly, they have both the ability and willingness to ride out large market volatility." He said data was limited on the specifics of how the big SWFs have fared through the crisis. Norway, one of the few such funds that provides regular data and has invested in financial firms through its general financial investments, has reported that it is having a strong year. Still, the decision by the Kuwait Investment Authority (KIA) to sell its stake in Citigroup came as somewhat of a surprise. It invested about $3 billion in Citigroup in January 2008 alongside other prominent investors, including Adia, GIC, the New Jersey Division of Investment, and Citigroup’s founder Sanford I. Weill. Around the same time, the authority put $2 billion into Merrill Lynch, the troubled brokerage house taken over by Bank of America last year. In September, KIA had said that it had no immediate plans to sell its investments in Citigroup or Bank of America because its financial strategy was based “on a long-term vision". Graham Bowley contributed to this story.